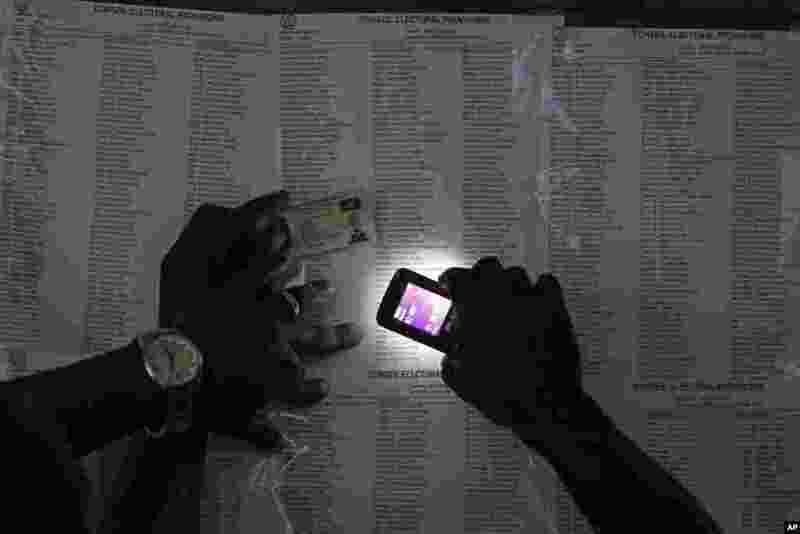 1 A voter uses his cell phone flashlight to find his name on a voters list during elections in the Petion-Ville suburb of Port-au-Prince, Haiti. 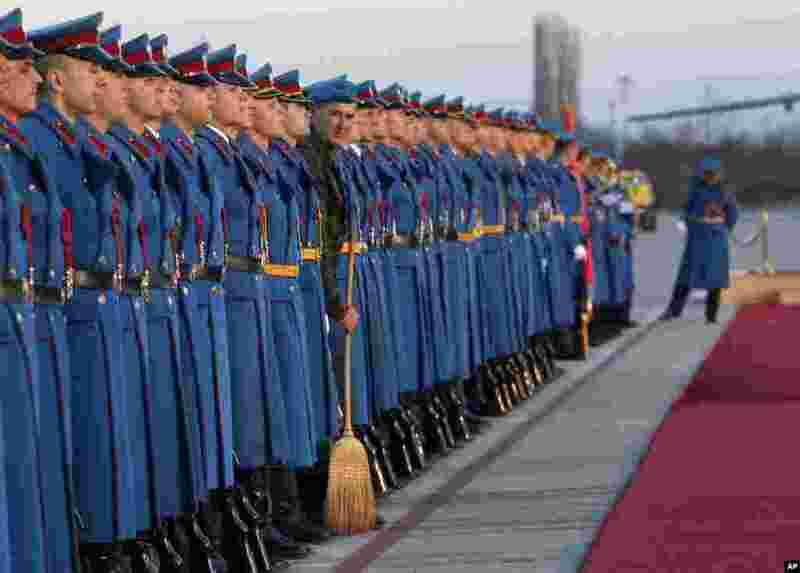 2 Members of the Serbian Honor guard prepare for the welcoming ceremony for Hungary's Prime Minister Viktor Orban, at the Constantine the Great Airport, in the town of Nis, Serbia. 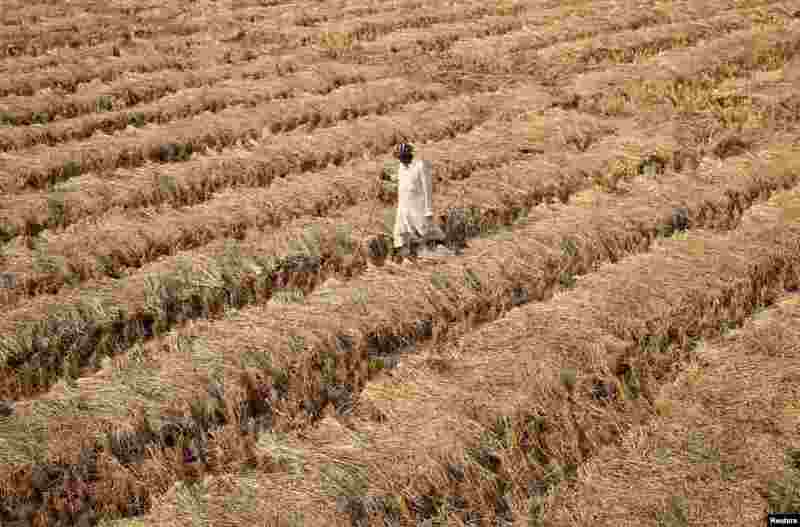 3 A farmer walks through a paddy field on the outskirts of Jammu, India, Nov. 19, 2016. 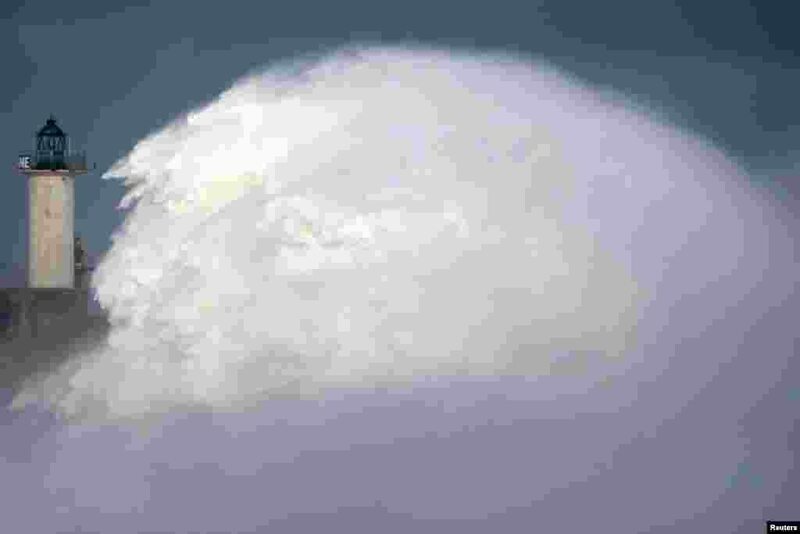 4 Waves crash against a lighthouse as the wind blows at around 120 kph (75mph), in Boulogne-sur-Mer, northern France.